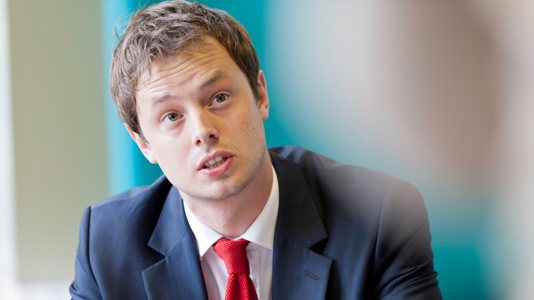 Law graduates embark on successful careers both within law and in other sectors. Accredited Law Conversion Course (Diploma) for non-law graduates aiming for a professional career in law. Incorporating the CPE. It meets all the requirements of necessary professional bodies. Qualifying Business Law Degree accredited by the professional bodies representing solicitors and barristers. Gain legal work experience at LSBU's Legal Advice Clinic. Offered full-time. Qualifying Criminal Law Degree accredited by the professional bodies representing solicitors and barristers. Includes opportunities to gain legal work experience at the University's Legal Advice Clinic. Offered on a full-time basis. Qualifying Law Degree accredited by the professional bodies representing solicitors and barristers. Includes opportunities to gain legal work experience at the University's Legal Advice Clinic. Offered on a full-time and part-time basis. Accredited by the professional bodies representing solicitors and barristers. Includes opportunities to gain legal work experience at the University's Legal Advice Clinic. Offered on a full-time basis. Understand the key principals that ground the UK criminal justice system. Gain an in-depth and systematic understanding of criminal litigation and criminal justice. Improve your specialist knowledge in the area of international commercial law, with opportunities for placements and a study visit to China. Combines modules in international human rights law, development studies and refugee studies to explore contemporary debates of specific countries and themes.